Establishing a wine collection is far more than selecting some great bottles from an afternoon tasting but certainly does not have need of the time, money and research to acquire rare vintages. It requires some education of both the mind and palate because beyond the labels, specific varietals and ratings, the crescendo of wine is all about taste and the color, aroma and texture that precede it. Taste is always upfront in my pursuit of wines, searching for the perfect balance in fruit, spice and earthy flavors. However, collecting is usually constrained by budget and many collectors agree, “Once you’ve gone Burgundy, you can’t go back.” As great as Burgundian wines are, collecting the “grand cru” would, inevitably, lead to bankruptcy for most of us. Fortunately, wines from our local California neighborhood have the quality and accessibility to satiate a collector’s appetite. The main factor surrounding my collection is that I am an occasional wine drinker. My wife, declaring war on sugar some 15 year ago, no longer takes pleasure in wine and I am not going to open a nice bottle for one glass. The result is a small collection, quality over quantity that can be shared with others, the best way to enjoy the attributes of wine. Sharing is wonderful, but the goals of any cellar reflect the individual tastes and diverse varietals enjoyed by the collector. Surprises and opportunities aside, the following guides the search for wine within my budget. My routine is to “lay down” the new vintages for a year, making the older ones available for consumption. 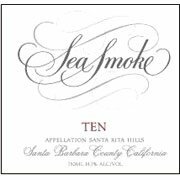 My 2009 Seasmoke “Ten” Pinot Noir is now a prized bottle in the “drink/hold” status waiting a special occasion while the 2010 and 2011 vintages can rest. It takes patience to receive an allocation of these great wines, but the rewards to your palate are worth it. #2: White wines with food. Although there are an abundance of fine white wines to choose from, chardonnay adds to food like no other varietal and, given that I no longer eat meat, it will receive expanded shelf space in my cellar. Vintage to vintage, my chardonnay assortment includes bottles of Foley Estate “Barrel Select” Chardonnay, Mt. Eden Chardonnay Santa Cruz Mountains and, most recently, Seasmoke “Grand Cru” Chardonnay, a superb first vintage from the venerated producer of Santa Rita Hills pinot noir. minutes, including the question, “How do we obtain some of this?” Their answer was revealed, days later, when my annual allocation letter granted me permission to purchase four bottles in 2013. As good as the Seasmoke is, the French “Grand Cru” designation is meaningless in the US. Aside from these wines, I am always looking for a good bargain on an authentic “Grand Cru” from Burgundy where chardonnay is the only white grape permitted to be grown. Burgundian white wines are elegant and fruit-forward, distinguishing themselves with a soft minerality on the finish. My current prized bottle is a 2005 Vincent Girardin Clos Vougeot Grand Cru Vielles Vignes. A brief review on reading French labels tells us this wine comes from grapes within a walled-in (clos) vineyard in the village of Vougeot, they are old vines (vielles vignes) and Vincent Girardin produces it. Actually, the vineyard, at 125 acres, is a very large “clos” vineyard, the only one in the village. Other “pairing” white wines that consistently have shelf space in my compilation are the Merry Edwards Sauvignon Blanc, the Fiddlehead “Goosebury” Sauvignon Blanc and well-reviewed sauvignon blanc from the Marlborough region of New Zealand, when nice, pungent flavors of lemongrass are needed to enhance a dish like well-prepared, rare hamachi. Blend, legendary to the area. Not being the main varietal focus of my collection, budgeting for the Napa Valley Cabernet Sauvignon is, with few exceptions, not an option. I enjoy exploring value-priced Cabernet from other regions. 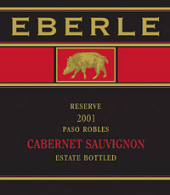 The best example of stand-alone great flavor for under $35 is the Eberle Estate Cabernet Sauvignon from Paso Robles’ eastside. Of course, the pricier Eberle Reserve Estate Cabernet Sauvignon is a good collectible to age for a special occasion. With 10-15 cabernet sauvignon and Bordeaux varietals, vintages 2002-2006, in my cellar, acquiring new ones before enjoying current inventory is a low priority. 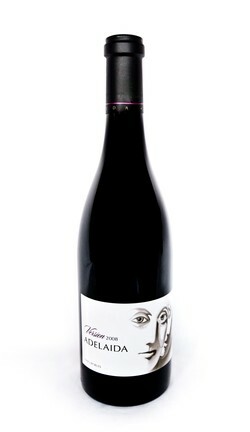 Allowing flexibility in my collection for special wines that I come across at tasting events, classes, winery tours etc. is a must. 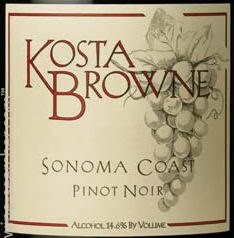 Generally, these wines fill in varietals like merlot, petite sirah, syrah, zinfandel, riesling and others that comprise one-third of my collection. were nice French wines, not realizing that these Bordeaux giants are, vintage to vintage, arguably the world’s finest wines. 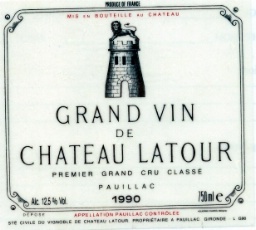 The 1990 Chateau Latour was Wine Spectator’s “1993 Wine of the Year” with a 100- point rating. To give some perspective of the value of these wines, the recently released 2009 vintage sells in the range of $1500 per bottle. We managed to drink them all, my only memory is sharing the Chateau Margaux with my wife on our anniversary at the old Downtown Bistro on Lancaster Blvd, not completely understanding its complexity, but agreeing it was “liquid velvet” to our palates. The irony of the tale is that, knowing what I know today, I would be reluctant to ever open them, facing the reality of no longer having two of the world’s great wines. Ultimately, wine collections are to enjoy with others, not displayed on a shelf. This entry was posted on Friday, April 26th, 2013 at 3:57 am	and tagged with earthy flavors, santa rita hills, seasmoke cellars, williams selyem winery and posted in Wine. You can follow any responses to this entry through the RSS 2.0 feed.